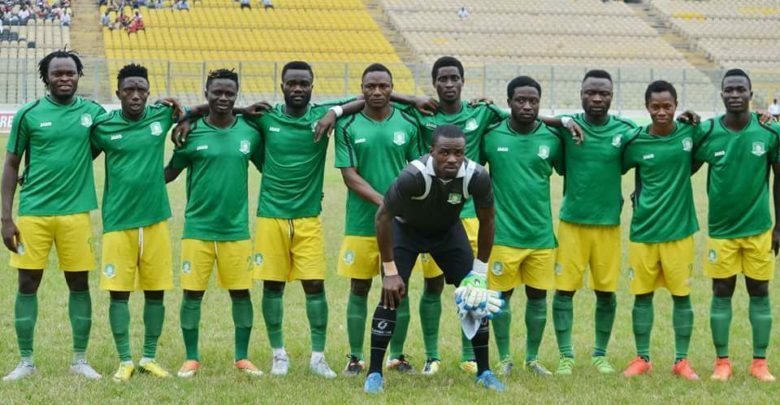 Ghana champions Aduana Stars booked their place at the next round after beating El Tahadi of Libya 2-0 on Wednesday in Dormaa. The result was enough for Aduana to go past the preliminary round 2-1 on aggregate. After a fiercely contested first half that saw a both sides failing to find the back of the net, the second half produced all two goals. The first was scored by Elvis Opoku in the 53rd minute from a goal mouth melee an action that broke the resistance of Tahadi, who had defended their one goal scored in the first leg till that point. Aduana upped their game soon after the goal and mounted more pressure on the visitors who were mostly in their own half defending. Striker Derick Sasraku netted the second goal in the 74th minute to seal the win for the Ghanaians who are participating in the competition for the second time in their history. Aduana will face ES Setif of Algeria at the next round.